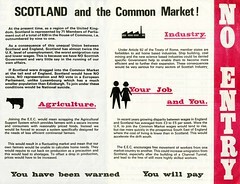 Billy Wolfe and Arthur Donaldson, originally uploaded by Scottish Political Archive. 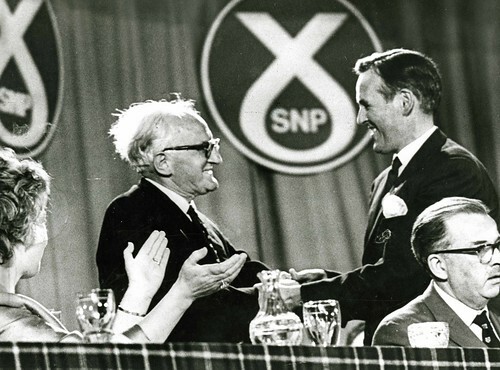 Billy Wolfe (SNP party chairman 1969 – 1979) and Arthur Donaldson (party chairman 1960 – 1969). To right Robert McIntyre (party chairman 1947 – 1956, MP for Motherwell and Wishaw 1945). 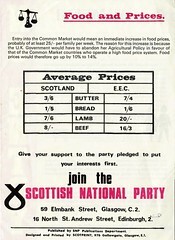 This picture forms part of the Scots Independent donation to the Scottish Political Archive. The Scots Independent is a monthly Nationalist newspaper. 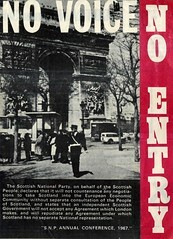 The paper was founded in 1926 and is the longest surviving political newspaper in Scotland in the twentieth century.